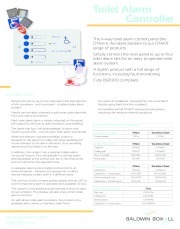 Another product that can be seen at the show, is the new four-way disabled toilet alarm control unit. The new unit can control up to four of the company’s three-part toilet alarm kits. The new control/display unit is available with either a white or stainless steel finish – to match with the toilet alarm products already available from Baldwin Boxall. Each toilet alarm component is available separately, so it is easily possible to ‘mix & match’ finishes to suit the installation. 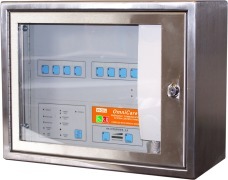 Unique features of the toilet alarm controller include a monitoring facility which will indicate ‘short circuit’ or ‘open circuit’ faults. An additional benefit is the ability to acknowledge each call independently, by a simple button press. 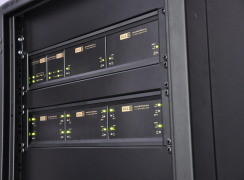 The person waiting for assistance will notice a change in the audible and visual signals when the call has been acknowledged and, therefore, will be reassured knowing that help is on the way – a requirement of BS8300. 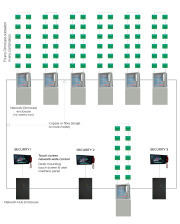 Up to ten of the units can be daisy chained together - using only one single mains power source. 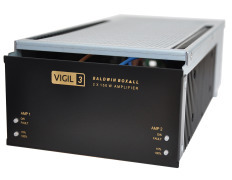 VIGIL3 - Baldwin Boxall's latest Voice Alarm development - will be shown at this year's Firex International 2018. 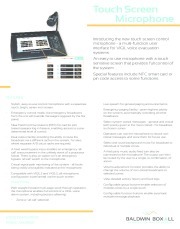 The new EN54 certified VIGIL3 products include floating transformerless amplifiers, charger module and touchscreen microphone. Disabled refuge communication, toilet alarms, fire fighter telephones, steward telephones and roaming telephones controlled from one panel. Our R&D team went ‘back to the drawing board’ for Care2. 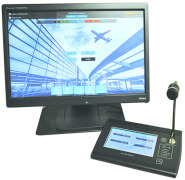 This has resulted in a revolutionary style control console with LCD and a rotary encoder/control. Omnicare is a well-established system which includes disabled refuge, fire telephones, steward telephones and toilet alarm options. Omnicare is a loop wired system. 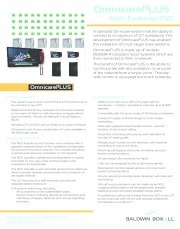 OmniCarePLUS makes it possible for very large disabled refuge / fire telephone (EVC) systems to be installed. Baldwin Boxall has announced the availability of IP65 rated toilet alarm products. 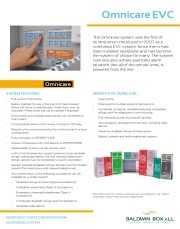 Fully tested and certified, users can connect the units to the manufacturer’s four-way toilet alarm panel or one of their EVC systems – Omnicare or Care2. 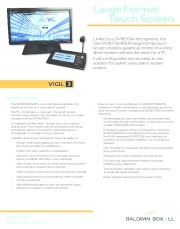 Baldwin Boxall is delighted to announce that it has been granted certification by the Loss Prevention Certification Board (LPCB) for their entire range of VIGIL2 voice alarm products. This new system will be shown for the first time at Firex 2018. 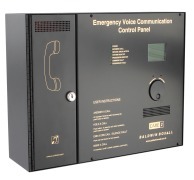 OmnicarePLUS is an Emergency Voice Communication system which provides the ability to have up to 8,000 outstations on a single system. The new touch screen microphone has some unique features. 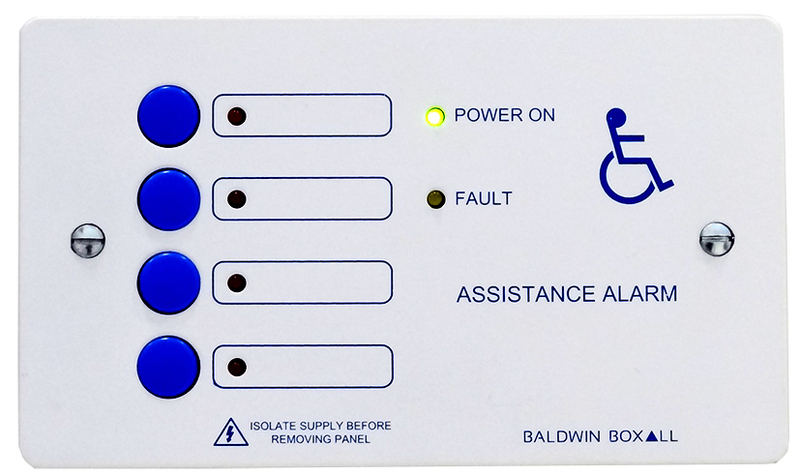 The four-way disabled toilet alarm control panel from Baldwin Boxall is fully BS8300 compliant. It is available with either a white or stainless steel finish and has some unique features. 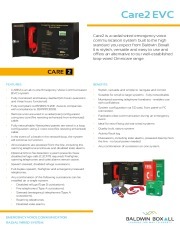 CARE2is a radial wired Emergency Voice Communication System. The system features disabled refuge, fire telephones, roaming telephones, steward telephones and disabled toilet alarms all on one system. 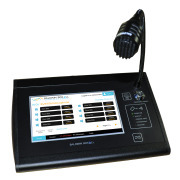 Omnicare is a loop wired Emergency Voice Communication System. 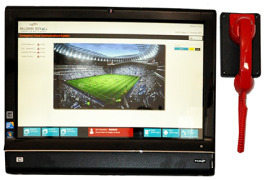 The system features disabled refuge, fire telephones, steward telephones and disabled toilet alarms all on one system. Omnicare is well-established and was the first system of its kind to market.